This battery is very good and is the right size and a lot cheaper than a top make batteries. The negative thing is I paid extra so I could choose the day for delivery as I know I would be at home and it did not come on that day it came the day after. So do not pay extra to choose delivery day as it will come when it wants. Recommended by a golfing buddie, and I can understand why. Service from Tayna and the battery itself excellent. It seems good value for the money! Product, as required, was delivered on the day as advised. Tracking information was very useful and accurate. 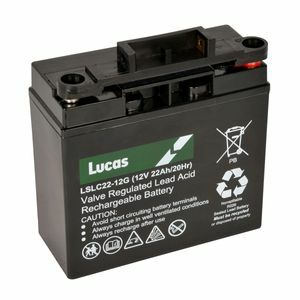 This battery replaced a Lucas 22Ah battery that lasted 3 years playing 3times a week. The battery was well packaged against damage and delivered by courier.Have bought many golf and car batteries from Tanya who have competitive prices. Todo en orden. Llegó bien presentada y envasada y funciona perfectamente . Very durable battery. Stood up well to some rigorous use. Lasted longer than I could have reasonably expected and was competitively priced. Battery’s were well packaged,good battery which powers a mobility scooter,would recommend these batteries for price and very powerful battery’s running capacity. Exactly what l needed for my clay shooting trap .arrived on time and in good condition. Arrived promptly and it is working well after six weeks.